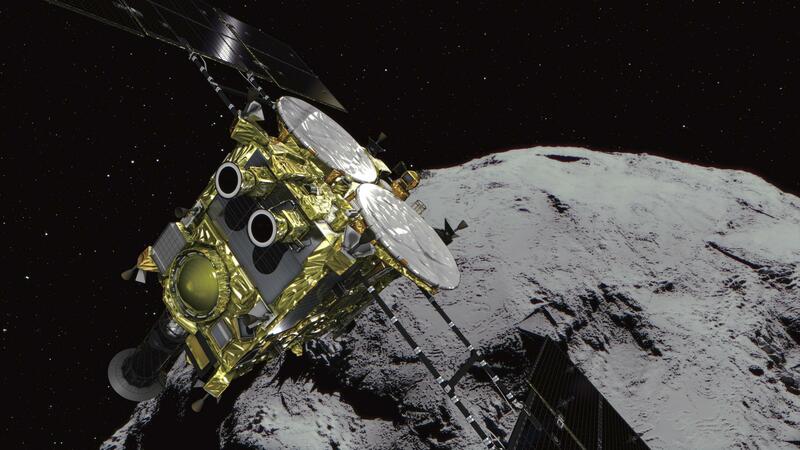 TOKYO – A Japanese space explorer arrived at an asteroid Wednesday after a 3 1/2-year journey and now begins its real work of trying to blow a crater to collect samples to eventually bring back to Earth. The unmanned Hayabusa2 spacecraft reached its base of operations about 12 miles from the asteroid and some 170 million miles from Earth, the Japan Space Exploration Agency said. The first touchdown is planned for September or October. Before the final touchdown scheduled for April through May, Hayabusa2 will send out a squat cylinder that will detonate above the asteroid, shooting a 4.4-pound copper projectile into it at high speed to make a crater. Published: June 26, 2018, 7:50 p.m.